I've had this conversation enough, that I thought I would make it available publicly. Have an incredible time! Sleep No More is an immersive retelling of the story of MacBeth. 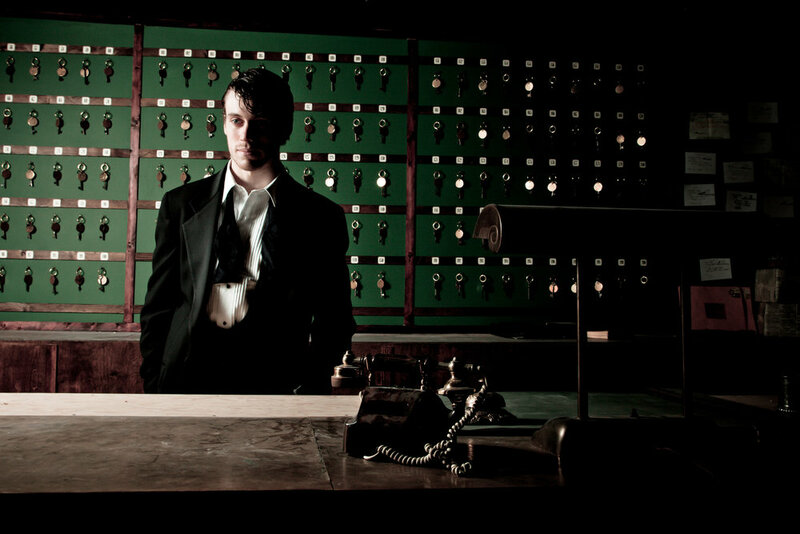 It takes place in the McKittrick Hotel, a multi-story building with prohibition era styling. The music, lighting, and sets combine to become a three dimension Hitchcock-like environment. Before you go, refresh yourself on the story of MacBeth by reading the plot section of the Macbeth wikipedia page. Get there early and be the first ones to the check in counter. There are multiple entry times throughout the first hour of the show. Purchase the earliest show time. No matter what ticket time you bought, show up 45 mins before the first entry time, and be closest to the front of the line as possible. There will be a bag and coat check when you enter the space. Have one member of your party wait in line to check everything and another member of your party go and check in at the check in counter. You can bypass the coat check line by going through the left door once you’re in the entrance hallway. You’ll be given a playing card... if you’re near the front of the line, it’ll be an ace. That means you’ll be the first group into the McKittrick to experience the whole three hours of the show. Be ready to leave the bar when they call your card (about 10-15 mins after you get in the bar). If you show up later, it just means you're missing the first of the three loops (more on loops in a second). How the show works and who the people are. The show repeats twice (for a total of three times through or three loops). During the first loop, you’ll just come across a character as you’re wandering around in the space. If it’s a man in a tux or a woman in a gown, they are most likely a main character and someone worth following through their loop. (There are several minor characters who have less interesting loops that aren’t great for newbies... maid, bellboy, nurse, bartender). Choose someone you find in the space and follow them. If you’re in the ballroom with the characters doing the dance together, this is the time you’ll want to choose a new character to follow. Most of them will run out of the room at the end of the dance. Be on their heels. 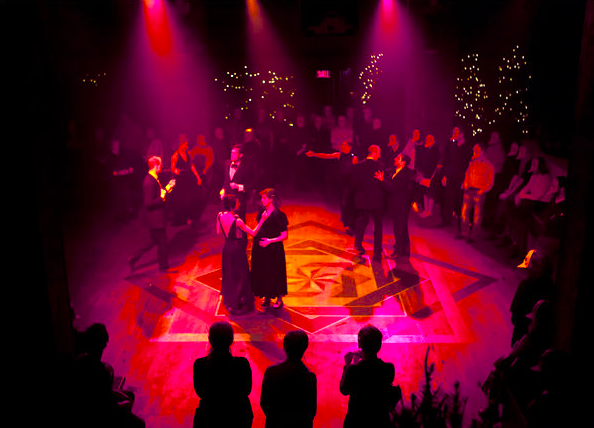 The ballroom scene marks the beginning of each loop. Be committed and be quick. You’re often rewarded for being with a character for their entire loop. The actors notice. And if they have a 1 on 1 (an experience where the character will choose an audience member and do a scene between just the two of them), they’ll often choose someone that has been with them the whole time. So, be ready to follow them and be the first on their heels when they leave a room to go to a new scene. It’s no fun to get trapped by a slow poke, so don’t let them get between you and a character. Sometimes the characters run from one space to another or up and down stairs pretty quickly. So be with them. And lastly, DON’T try and stay with another guest. Leave your friends and go out on your own. If you try and stay with another guest, your experience will be lame. So once that mask goes on, you’re on your own.